House is still standing, and in similar condition to the photo. I was able to identify this card because I purchased a Marengo Street scene from the same dealer, and it was from the same sender. 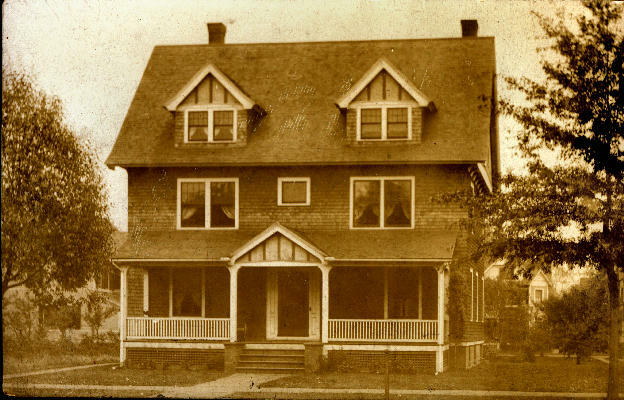 The Ferre family lived on Marengo park in 1909. Will come as early as I can. Just received your card. I wish you a Merry Christmas. Marian says the coat looks fine. I suppose you have it by this time. With love, F. L. Ferre. Miss K. Tapley YWCA Howard Street city (Spfld).